Jade Schultz knocks down 19 points against Tawas. Alpena, Mich. — The Alpena Wildcats looked to break the .500 mark with a non-conference win over the Tawas Braves. 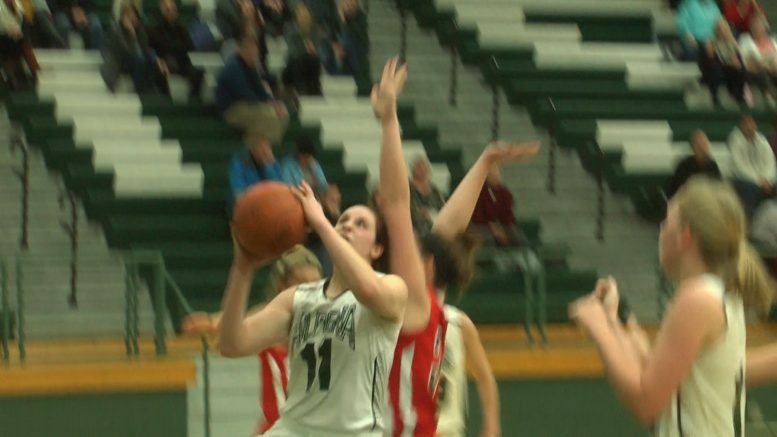 Alpena got off to a hot start, holding Tawas to five points and scoring 16. Jade Schultz knocked down 7 points in the first quarter. The Braves made a late fourth quarter push putting up 14 points, but junior post Schultz and the Wildcats won 47-39 improving to (7-6). Up next, the Wildcats host Traverse City Central on Friday at 6 p.m.